For those that weren't at the recent BCNA AGM, you can download the President's review of the year and summary of the current status of local issues here. From time to time residents ask about the planning scheme and covenants that apply to properties in Beacon Cove. The BCNA has prepared a summary which you can access here. The upgrades of properties across Beacon Cove can lead to concerns and disputes. The BCNA has prepared a short guide which can be downloaded here. The Victorian Ports Corporation Melbourne (VPCM) have released a summary report detailing the findings from a recent 12 months monitoring program of the air quality at the sampling station on Station Pier. On behalf of VPCM a consultant company KMH Environmental was engaged to manage and report on the findings. Click here to access the report. 18 months ago the BCNA approached two of our BCNA members to help us review and analyse the information provided by the monthly and annual reports issued by VPCM. Click here to access their final summary findings. This report was provided by members Ian Evans and Jill Maddox, we wish to acknowledge the time and effort they have both committed to this review and the extremely professional report they have issued. They presented their report to a joint BCNA/VPCM/EPA meeting in June which has led to ongoing further dialog with both the VPCM and the EPA. The BCNA will continue to lobby the EPA/Port to reassure the community their health is not being comprised by Ship Bunker fuel emission and for the emission levels to be established to best practice standards available. The City of Port Phillip (CoPP) has alerted us to the following survey about the safety of the pedestrian network, eg footpaths, walking paths, streets, etc. So far there only seems to be two comments about the Beacon Cove area. If you'd like to add your comments or suggestions go to this web page. Please come and join the students and staff of Albert Park College along with Victoria International Container Terminal (VICT) to help both organisations recognise and celebrate their community partnership. The ‘Painting the Docks’ exhibition was inspired by the new terminal opening at Webb Dock East and will showcase the artworks of Year 7, 8, 9 & 10 students under the mentorship of celebrated local artist, Julian Twigg. Sausage sizzle provided by VICT and Port Melbourne Rotary plus coffee cart available. The City of Port Phillip, through its Vibrant Villages Partnership, is sponsoring a picnic in Garden City Reserve on Sunday 30th April, between 2 and 4 pm. It will be held near the Trugo Club. The event is supported by community organisations including Port People and BCNA. There will be attractions for children such as free kids’ footy and cricket clinics, face painting, and environmental talks about local animals and plants. 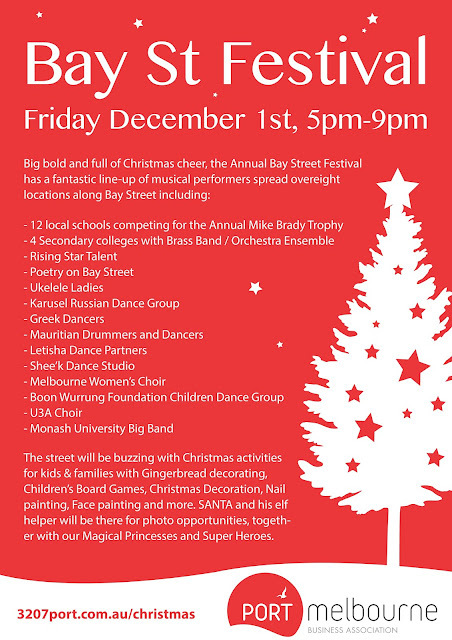 A swing band will be playing. Free pizza and cupcakes for early arrivers. Westgate Park nestles in the eastern sweep of the Westgate Bridge, a green oasis in industrial Fishermans Bend. Formerly a natural salt-marsh, then sand mine, rubbish tip and WWII airfield, it has been rehabilitated over recent decades by a dedicated group of urban renovators, the Friends of Westgate Park, into an award-winning nature space for wildlife, walkers, cyclists, bird-watchers and picnic groups. And, with the nearby industrial area slated for transformation into four new suburbs comprising the Fishermans Bend Urban Renewal Area, Westgate Park, situated on its western boundary, is to be expanded and developed to meet some of the recreational and aesthetic needs of a residential population estimated at 80,000 by 2050. According to the early Draft Masterplan for Westgate Park, its expansion is to be achieved by incorporating the current go-cart land into the park, as a recreational oval connected to the present park by a pedestrian bridge over Todd Rd, with enhancement of overall park amenities and facilities to meet a range of community needs. Already three parcels of former port land have been added to the park, which will, along with the go-cart land, ultimately more than double the original size of the park. Residents of Beacon Cove can watch this transformation taking place on their northern fringe while availing themselves of the beauty, tranquillity and recreational opportunities that the park provides. Please note that due to predicted inclement weather this Sunday's Multicultural Arts Victoria Piers Festival will not be held on Princes Pier. It will now be held at South Melbourne Town Hall, 208-220 Bank Street, South Melbourne. 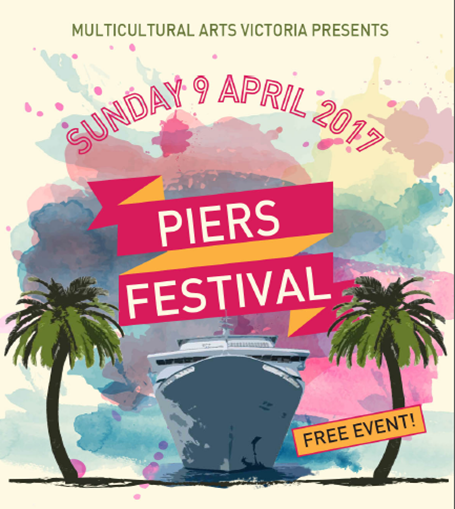 More details are available at http://multiculturalarts.com.au/event/piers-festival-2017/. Heavy rains in late December and January highlighted problems with this drain. Storm water discharges directly onto Port Melbourne beach and a large area was covered by a very smelly and unsightly scum. This constitutes a health hazard and there is inadequate signage by the EPA alerting beach users and swimmers to the dangers. It also provides a poor image to tourists and visitors. The BCNA has contacted the EPA and met our Gateway Ward councillors to discuss the health hazards and to reaffirm that a drain upgrade is needed. Follow up meetings are planned. The drain is the responsibility of Melbourne Water. A re-alignment was agreed with Melbourne Water in 2006 that would take the storm water further out into the bay. Unfortunately, this work has not been given priority. Planning applications continue to be considered by the City of Melbourne and City of Port Phillip as well as the Minister for Planning. So far 25 major developments have been approved comprising 6,437 dwellings. 21 major developments are pending comprising 6,080 dwellings. The existing building is now being demolished in readiness for a new development. The owner has submitted a revised application (1220/2016) and this is being assessed by City of Port Phillip (CoPP) Planning Department. No details are publicly available. The original application was refused by VCAT in 2016. While VCAT supported the type of development they found that the height would cause overshadowing of the foreshore, providing no net benefit to the community. Each year BCNA makes a submission to the City of Port Phillip (CoPP) for their consideration in developing the Council’s budget for the upcoming financial year. Bike trail lighting – eighty new public lighting poles and LED luminaries between Beach St and Boundary St, Port Melbourne have now been installed, making for increased safety for pedestrians and cyclists. Safety on the Promenade – the CoPP has completed a feasibility study on potential ramps along the Promenade between Station and Princes Piers. For cost reasons, there are no current plans to construct ramps. However, our request for handrails on the steps between the piers has been granted, and they will be installed by the end of the year. Whilst this is not a solution to separation of the paths, the handrails will improve safety for pedestrians. Graffiti removal – increased resources for preventative strategies and quick removal of areas affected by graffiti. 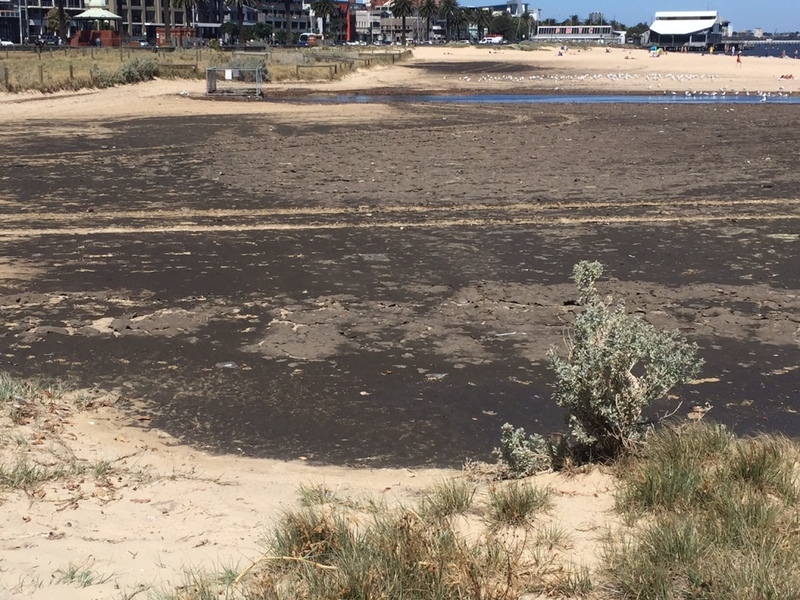 Princes Street storm water drain – collaboration with the EPA to develop and install improved signage regarding poor water quality, particularly in the pond at the mouth of the drain. An upgrade of the drain in the longer term. 1-7 Waterfront Place – pending longer-term redevelopment of the site, action to ensure a clean up of the site. Waterfront Place/Station Pier toilet facility – resources to fund a street level accessible toilet in the Waterfront Place area. Port Melbourne Neighbourhood Centre will be holding its biggest event of the year - the Port Melbourne Community Carnival 2017 which will take place on Saturday 18th March from 12 to 4 pm, on Liardet St, between Lalor and Nott Sts. 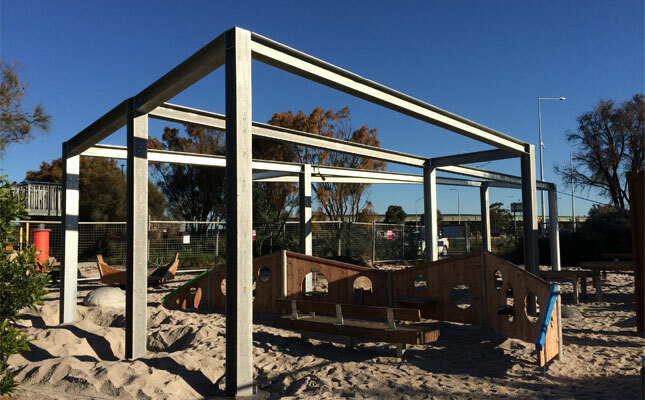 The theme for this year is Port Melbourne Unmasked - Uncovering the Heart of Port Melbourne, which aims to explore and celebrate the essence of this resilient community. People who are coming to the carnival will have the opportunity to be involved in a series of drop-in style workshops. These are always highly popular with children and families. This year the main workshop will be creating masks using recycled materials. The masks will then be worn in the 'Port Melbourne Unmasked Parade', allowing the artwork and creators to be cheered by the crowd. More details can be found at www.pmnc.org.au/index.php/activities/carnival. The Piers Festival is back in 2017. 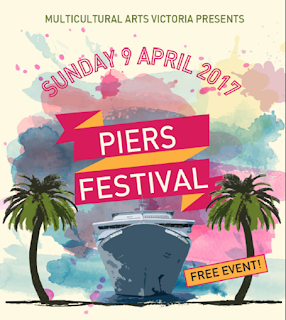 The 6th Piers Festival will be held on 9 April at Princes Pier. The annual free Piers Festival features a vibrant mix of artists and cultures, iconic sounds, new collaborations, music, dance and activities for all ages with headline acts Joe Camilleri & the Black Sorrows, the Core-tet, Oi Dipnoi, the haBiBis, Mojo Juju & the Samoan Choir. MC Anna GoGo will get you go-go-ing, and DJ PAZ will fill the sea breeze with carnival beats at this FREE festival for the whole family. Enjoy the festive interactive atmosphere of the Landing, with displays, performances and activities curated by various active cultural groups from Victoria: Latin Stories Australia & Casa Cultura; the Ukrainian Association of Geelong; the African Australian Small Business Association; the Shepparton Sikhs Association; Moreland Turkish Association; and more. Enjoy traditional beverage samples, Pysanka Easter egg decorating, turban tying, art and craft and musical performances including Ismail Metin from the Yunus Emre Centre with martial arts displays. More details can be found at multiculturalarts.com.au/event/piers-festival-2017. There’s no better way to see the Port of Melbourne than on one of the free Port of Melbourne Open Day boat tours. The last one for the season will be on Sunday 30 April. For more information, go to www.portofmelbourne.com/community-and-education/visiting-the-port/boat-tours. As some may know, plans for development of 1-7 Waterfront Place have been advertised on the City of Port Phillip’s (CoPP) website. The application is for a permit for “Construction of a 10-storey mixed use building over two basement levels containing 175 dwellings and two retail premises of 355 square metres and a reduction in car parking requirements”. Details of the application including plans and detailed documents (including the developers responses to the Council’s initial objections) can be viewed on the CoPP website. Unfortunately the design of this part of the CoPP website means that we can’t provide a direct link to the relevant page. As a result you’ll need to take the following steps to access the information. Firstly go to this page and select “Let’s get started!”. Then select “Resident” then “Planning and building” then “Object to or Support a Planning Permit” then go to the bottom of the list, select “New Search”, and enter 989/2016 in the box under “Application Number” and then (finally!) click “Search”. I’m sorry I can’t make it any easier – that’s the easiest way I’ve found to get there. The BCNA Committee would like to see the site developed and used for the benefit of the community. However, BCNA has concerns about the current plans. The plans do not conform to covenants varied by VCAT in its decision of 15 January 2015. This means that the proposed building is bulkier than it should be and reduces sunlight on the site and beyond. The plans do not conform to Design and Development Overlay 23 of the Port Phillip Planning Scheme which means the building will be bulkier at higher levels and this will influence sunlight and shadows on the site and on the bike path, footpath and foreshore. The proposal does not minimise overshadowing at the winter solstice as required by Design and Development Overlay 23. We encourage residents to look at the plans and respond directly to Council. Please also let us know your views at feedback@beaconcove.org.au so that we can better represent our members in discussions with Council. Council has indicated that they will not decide on the application before 6 March 2017. This month's 3207 Beach Patrol regular monthly clean coincides with Clean Up Australia Day. Both new and long-time members are welcome come along. Where: Port Melbourne Beach - meet opposite The London/Mr Lawrence with coffee afterwards at Cafe Grumento. If you want something to print and put up on your fridge to remind you, you can download a flyer here. Just reminding everyone that you are invited to have your say on the City of Port Phillip's (CoPP) design guidelines and public realm concept design for the Waterfront Place Precinct. The survey closes this Friday (17 Jan). Waterfront Place and good design of the public realm is important for everyone. More details about the survey are here. You may be interested that there are number of community gardens in Port Melbourne. For more details of them and how you may participate go to www.portphillip.vic.gov.au/gardens.htm. Inner South Community Health (ISCH) runs the following walking groups which some residents may find interesting / worthwhile / fun / etc. More details can be found on this page. As part of Melbourne Tennis Week, there will be free come and try cardio tennis sessions at JL Murphy Reserve on Tuesday 7 February. More details can be found here. The Port Melbourne Icebergs meet at 8:30am on Saturdays - we have now put a link to their Facebook page in the Links to Useful Websites section on the right hand side of our home page. ISCH also have a free short film making course starting soon. Learn how to make a film by working in small teams to bring a story to life. 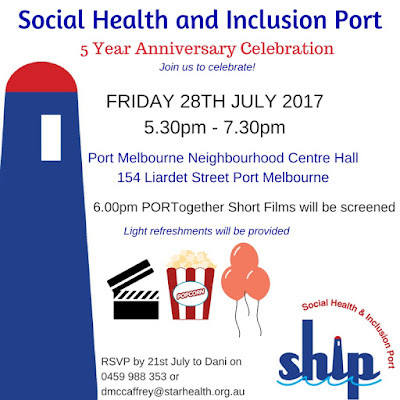 All films produced will be used to promote the various work that ISCH's Social Health and Inclusion Programme (SHIP) does. It runs on Fridays for 11 weeks beginning 10th February at the Port Melbourne Trugo Club. For more information or to book your place, contact Sally Rossiter on 9525 1300 or email ship@ischs.org.au. The City of Port Phillip (CoPP) Community Grants program aims to work together with funded groups and organisations to meet identified community needs, support local networks, promote and encourage participation in community life, facilitate innovation and promote access, inclusion and acceptance of diversity. The 2017-18 Community Grants Applications Forms and Guidelines are now available for preview. For more information go to www.portphillip.vic.gov.au/community_grants.htm. Sorry for the late notice but it's only just come to my attention that this is on THIS WEEKEND. The Blessing of the Waters Greek Orthodox ceremony takes place on Sunday the 8th of January 2017 commencing at 1pm and will be followed by music, dancing and activities for children until late afternoon. Also, food and drink will be available at the Pier together with a variety of other stalls. The Blessing of the Waters at Port Melbourne is a combined celebration for all Parishes in Melbourne celebrated by His Grace Bishop Ezekiel of Dervis together with all the Clergy of Melbourne. The promise of a year's good fortune enticed scores of young Greek Orthodox men to try their luck in the annual Blessing of the Waters Ceremony. The ritual commemorates Christ's baptism in the River Jordan, termed the Epiphany by St. John Chryssostom (from the Greek word for 'manifestation', 'epifaniea'). The ceremony of Theofania, following Epiphany Day, culminated in Bishop Ezekiel of Dervis tossing the wooden cross into the bay. Epiphany, the 12th day after Christmas, celebrates the visit of the three kings or wise men to the Christ Child, signifying the extension of salvation to the Gentiles. 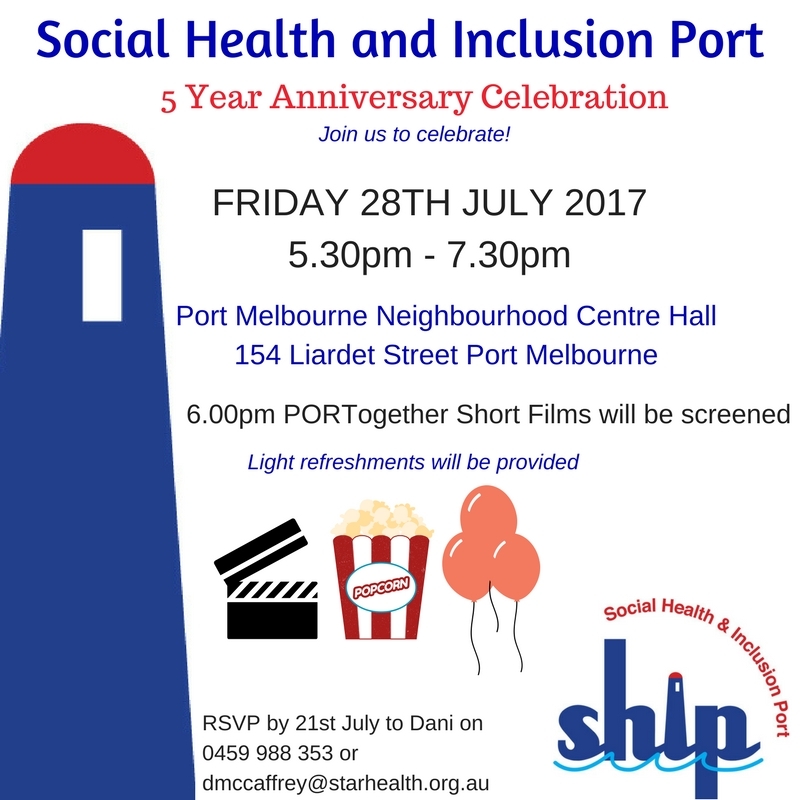 The Social Health and Inclusion Port (SHIP) project (part of the Inner South Community Health Service, ischs.org.au) are looking into offering a series of short outdoor community exercise classes at a beginner level for people to try in early 2017. Let them know what you would like to see available in Port Melbourne by completing their short survey. Depending on community interest, classes will run between February and April 2017. I've been alerted to this by the SHIP project. Victoria Walks are this month featuring a walk around Westgate Park. Located just off Todd Road, this walk provides the some stunning scenery, including waterways, abundant bird life and different indigenous plants. Details here.